Peter Kosley is an Executive Vice President in the Commercial/Retail Division of Henry S. Miller Brokerage, LLC. Kosley specializes in the sale of community, neighborhood, strip, and power shopping centers and is heavily involved in retail leasing. Mr. Kosley places much emphasis on understanding a retailer’s operation and business philosophy. This, coupled with his in-depth knowledge of the overall market allows him to consistently and successfully select multiple sites for his clients or prominent tenants for his shopping centers. Kosley also excels in the listing and selling of other income producing properties. After selling his chain of three ladies clothing stores in 1971, Mr. Kosley joined the Lawrence Miller Company. Because of his strong background in retail, he was immediately recognized as a retail specialist in the Commercial/Retail Division. In 1976, Kosley joined Henry S. Miller Co., Inc., which at the time was one of the largest independent real estate companies in America. He was responsible for leasing Wynnewood Village Shopping Center in Dallas, Texas. Wynnewood consisted of more than 650,000 square feet that was only 65 percent occupied. After bringing the occupancy to 96 percent, Kosley was promoted to Vice President in the Commercial/Retail Division. In 1989 the firm became Henry S. Miller/Grubb & Ellis Company and Kosley remained with the Commercial/Retail Division. Throughout his many years with that company, he earned the distinction of Senior Marketing Consultant and was recognized year after year as one of its top retail specialists. Mr. Kosley was elected a member of the esteemed Chairman’s Council of the Henry S. Miller Company in 1984. 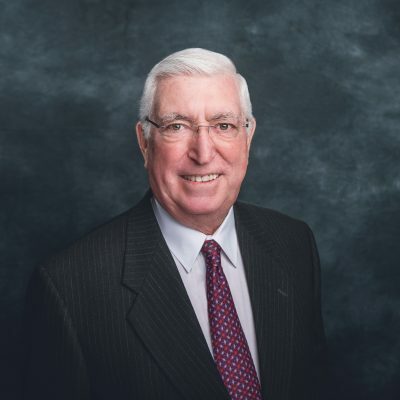 In April 1994 he joined the newly formed Henry S. Miller Commercial, now known as Henry S. Miller Brokerage, LLC, as a Senior Vice President where he continues to specialize in retail leasing and the sale of retail properties. Kosley is consistently one of Miller’s top producing retail brokers.